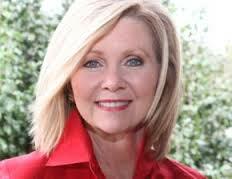 A Disgruntled Republican in Nashville: Marsha Blackburn: Why I voted NO on the omnibus spending bill. Marsha Blackburn: Why I voted NO on the omnibus spending bill. From This Week in Washington by Representative Marsha Blackburn - Today the House passed the second major piece of legislation and that is the omnibus spending bill. So many of you contacted me to ask about the omnibus spending bill. Here is a link for you to view the bill yourself. Also, I want to provide you a brief summary and explain why I voted NO on the omnibus. We did achieve some conservative wins in the bill. We were able to block the IRS from harassing individuals who give to political organizations. We were able to roll back the EPA spending to 2008 levels and their employee rolls to 1989 levels. We were also able to include full funding for our men and women in uniform. Those are big conservative wins and the Speaker deserves both credit and our thanks. Unfortunately, it is disappointing that we have no language which freezes the Syrian refugee program, the President’s lawless amnesty, Planned Parenthood funding, Net Neutrality or contributions to the Green Climate Fund. The omnibus also breaks the budget caps from the 2011 Budget Control Act. I am very concerned about the security of this country and the American people. Recently, DHS Secretary Johnson admitted that ISIS could “exploit” our refugee program to conduct attacks here at home, something I and my colleagues have been saying for weeks. We must do everything in our power to eliminate terrorist threats – which is why I will not give President Obama a blank check for his resettlement agenda. Due to these issues, I could not support the bill, but I do thank Speaker Ryan for the manner in which he addressed the issues and worked to include the conservative policy riders.